Automatic floor scrubbers, or auto scrubbers, are used to scrub the floor clean of light debris, dust, oil, grease and marks. 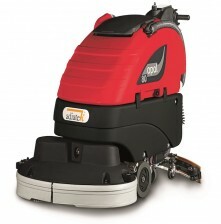 Equipped with either rotary discs or cylindrical scrubbing heads, these machines have an automated system for dispensing cleaning solutions to treat the stain, before vacuuming it up. 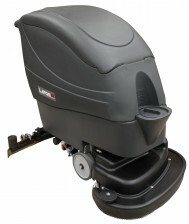 Our commercial and industrial floor scrubbers are heavy-duty and easy to operate, in both the rider scrubber and walk behind automatic scrubber models. The battery-powered sweepers are also available in both rider and walk-pedestrian models, powered by motors and an all-steel construction that are meant to last. Our high-speed burnishers and floor polishing equipment are both specifically designed to develop a high level of gloss on a variety of floor finishes. 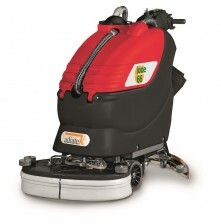 Cleantech Gulf supplies a variety of walk behind scrubber driers from the largest international brands to UAE customers.